New Product! Multi purpose Rust Preventive Oil. Long term storage, up to 3 years in door storage. CT 5 A is an oil dispersed, non-staining rust preventative designed to deposit a light oily film which provides indoor protection on sheet steel and other ferrous parts. The CT 5 A will neutralize fingerprints and provides excellent water displacing characteristics while preventing the formation of black stains when parts are stored in contact with each other. •The inhibitor molecule is adsorbed on the metal surface by the process of chemisorption, forming a thin protective film either by itself or in conjunction with metallic ions. •The inhibitor causes a metal to form its own protective film of metal oxides, thereby increasing its resistance. •The inhibitor reacts with a potentially corrosive substance in the water. 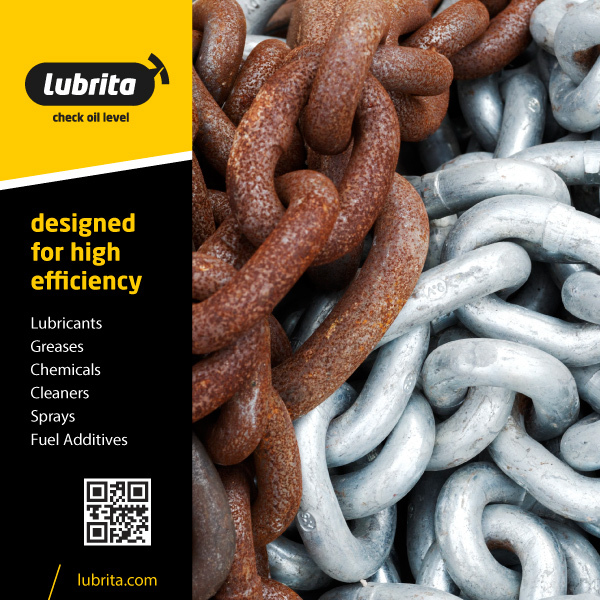 LUBRITA CT 5 A it's medium term corrosion inhibitor helps customers store products safe and in good shape. Increase productivity, reduce cost and increase profits.